Please join us for Open Gym Saturday. There will be one formal group workout at 10:00 AM. From 11:00 to 1:00 the gym will be open with supervision from our Coaching Team. This is a great opportunity to work on skills and the accomplishment of your goals. Amundson Youth Fitness Program – Career Day! 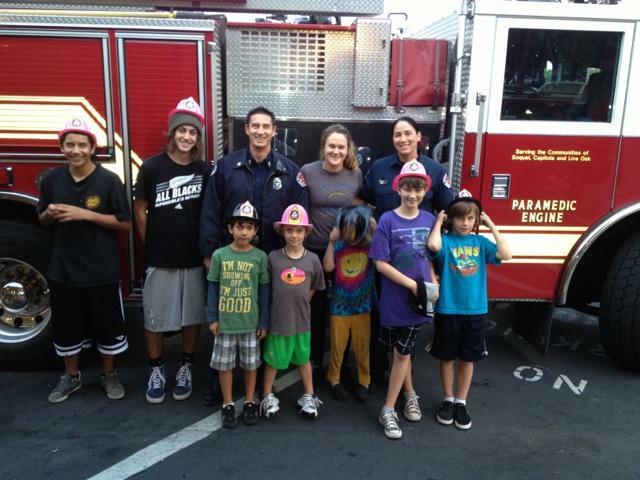 On Thursday, November 15, 2012, our good friends Jason and Wendy, both Firefighters in Capitola, CA., provided immense education and inspiration for the Athletes participating in the Amundson Youth Fitness Program. Jason, a Captain in the Fire Service and top performer at CrossFit Amundson, coordinated the effort to have his fire truck on hand at the gym. Jason and Wendy then provided a tour of the truck and provided a lesson on the Firefighting profession and career path. Thank you Jason and Wendy for your service!